Maybe it’s just me, but it seems each independent coffeehouse I encounter has some kind of craft night. Perhaps it’s my location, and Fort Collins, Colorado is just a crafty community. On the other hand, craft night feels right when in the company of hallowed machinery such as an industrial espresso maker. 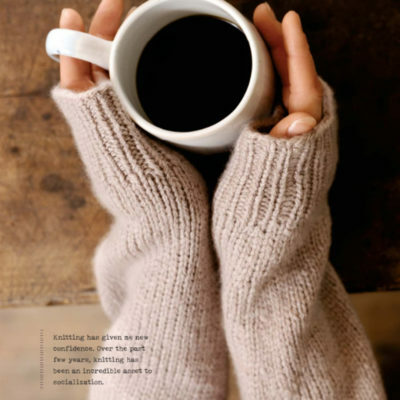 Sweaters and coffee. Yarn and coffee. Mittens and coffee. Knitting needles and coffee. Coffee and coffee. It all makes sense. 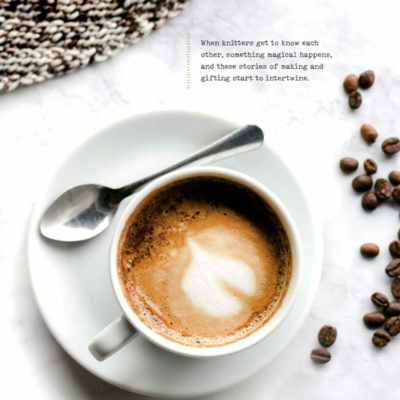 In our book Coffeehouse Knits, we pay homage to this pairing, but also offer short essays that remind us all that knitting can be a fulfilling social experience. You may recognize the Gingersnap Pullover sleeves in this shot by Caleb Young. Time seems to slow in these sacred hours, progressing in the steady form of rows gained. Conversation rises and slows, but never stalls; momentary silence is a space for counting, checking in, reviewing patterns. A finished project is exalted by all, the owner made to stand up and model it under the approving gaze of the group. This is s truly safe space—a place where we can be together for a few hours without the binding obligations of the everyday—and when it comes to a close, there is an unspoken understanding that it is not lost, simply put on hold until the next opportunity arises. 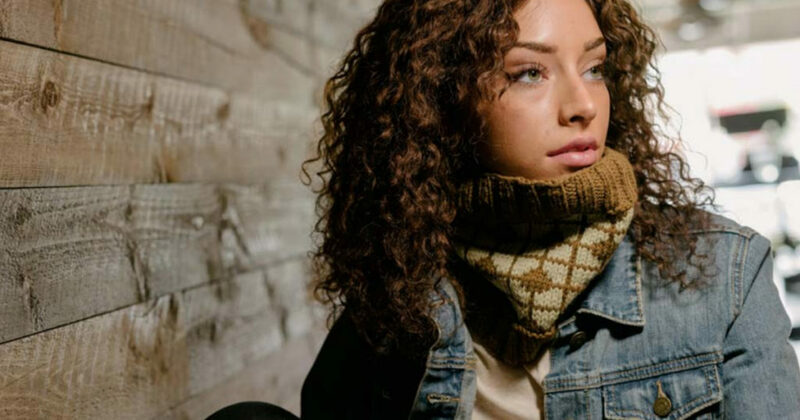 If you haven’t taken a deep dive into Coffeehouse Knits, you may not realize that this is the Dirty Chai Pullover, and it needs to be on your needles now. Image by Caleb Young. Over the past few years, knitting has been an incredible asset to socialization, which helped me to come out of my shell a little bit and foster connections with fellow knitters. Before sharing my passion and work on Instagram, I had no clue, first of all, that there were so many knitters in the world! And second of all, that so many different cultures were sharing the same interest in this fiber craft! There’s nothing else quite like making a knitter friend. That moment when someone just “gets you” and knows why you love the smell of wool, why you stay up late at night to knit until your hands give out. 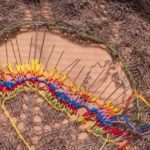 Knitting starts conversations that bridge age, ethnicity, and gender. There is so much more to a knit night than just the projects on hand. There is friendship, understanding, connection, validation, enthusiasm, and sometimes, caffeine. 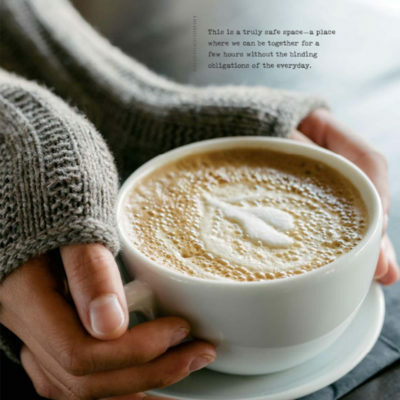 It is all demonstrated and explained so beautifully within the pages of Coffeehouse Knits. If you haven’t already secured your copy, I would do so now! This may be the knitting book that takes your knit night project to a whole new (friend-filled) level. Knit Night with Coffee and Friends- and Projects You Love!